From the legendary Pentagon Papers whistle-blower, an eyewitness exposé of America's Top Secret, seventy-year nuclear policy that continues to this day. 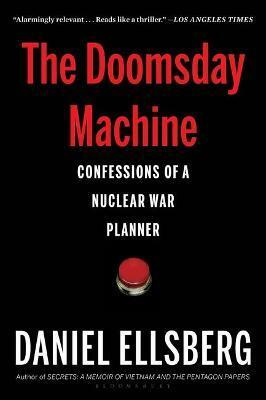 "This candid and chilling memoir describes how Ellsberg came to recognize that the U.S. military's approach to preparing for nuclear war was terrifyingly casual. If war came, the United States was ready to obliterate not only the Soviet Union but also China--a plan that would have immediately produced 275 million fatalities and then led to another 50 million, owing to the effects of radiation." - Foreign Affairs, "Best Books of the Year"
"His point is simple: We and our political leaders must stop thinking of nuclear war as a manageable risk. We must stop thinking of the possibility of nuclear war as normal." - St Louis Post-Dispatch, "Our Favorite Books of 2017"
In 1961, Daniel Ellsberg, a consultant to the White House, drafted Secretary Robert McNamara's plans for nuclear war. Later he leaked the Pentagon Papers. A senior fellow of the Nuclear Age Peace Foundation, he is the author of Secrets and the subject of the Oscar-nominated documentary The Most Dangerous Man in America. He is also a key figure in Steven Spielberg's film about the Pentagon Papers, The Post, and the winner of the Olof Palme Prize for profound humanism and exceptional moral courage. He lives in Kensington, California, with his wife, Patricia.